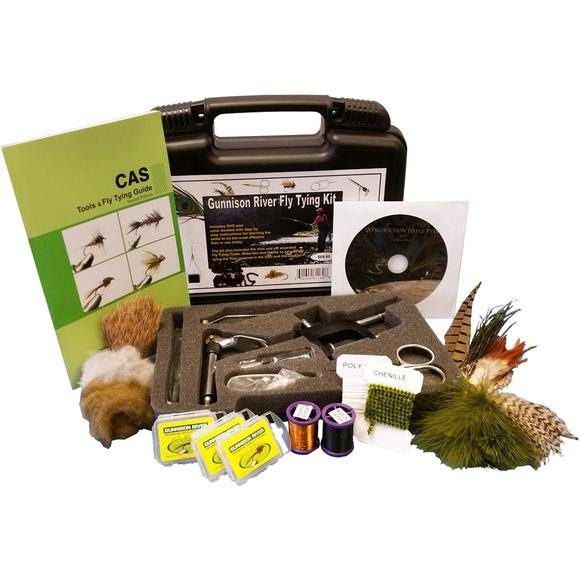 Make the move to a higher level in your cherished passtime and begin tying your own flies with this kit from Colorado Angler Supply. Added is the new instructional DVD by Greg Vinci that demonstrates all of the techniques covered in the instructional booklet, so you can be tying your own flies in no time. Make the move to a higher level in your cherished passtime and begin tying your own flies with this kit from Colorado Angler Supply. Added is the new instructional DVD by Greg Vinci that demonstrates all of the techniques covered in the instructional booklet, so you can be tying your own flies in no time.